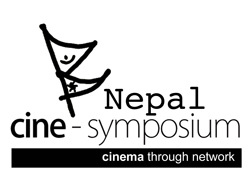 The Nepal Cine Symposium ‘ 2011 is a film and art event that aims to promote and communicate in those aspects of cinema that are not facilitated by film festivals or by regular aspects of commercial filmmaking. Designed as an open forum, The Nepal Cine Symposium is an accessible platform with multiple programs under one roof for four days bringing together filmmakers, film producers, film exhibitors and lobbyists together to interact, share information and open global collaboration possibilities with South Asian cinema. Its first venture taking place in Kathmandu in 2011, the symposium, alongside Nepali cinema as a central focus, aims to interact on issues relating to South Asian cinematic growth and the positioning of how regional cinema can proceed in the days to come. The final event will comprehend ideas of a festivalwith various networks gridded together enabling the existence of a larger seminar and a film market based structure that carries with it various dimensions which can propel overall growth of cinema in the region. Nepal Cine Symposium is organizing the main film showcase program ‘Something like a FILM FESTIVAL’ which will take place alongside all other activities of the symposium, and is one of the four core programs at the 2011 Nepal Cine Symposium. ‘something like a FILM FESTIVAL’ aims to promote the understanding and sharing of fiction contents from both the visible and the hidden cinema countries of the world; as suggested by the name itself, we believe in the charm and the aspiration of cinema beyond conventions ‘ this alone being the main guideline of the festival. The 2011 edition, shall exhibit a wide selection of fiction related feature and short length films finely selected to represent the new global aspirations on fiction film from both professionals and amateur filmmakers.